Shop for industrial products in our on-line catalog. Click the link or picture below to open the catalog. 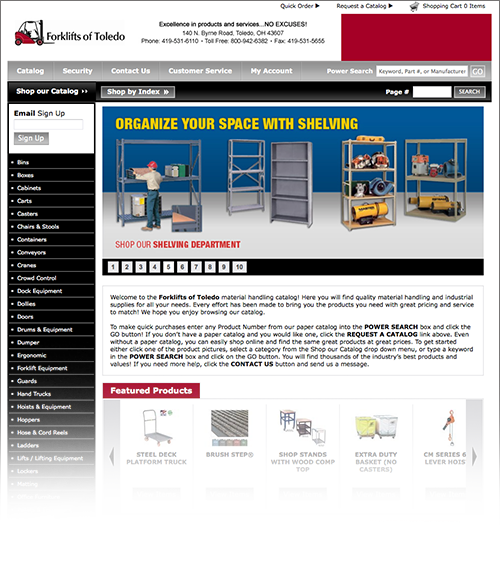 The site has everything you need for your warehouse or manufacturing plant. From bins and boxes to hand trucks and hoppers, you’ll find it in the on-line catalog.